ABC has released the trailer for religious dramedy The Gospel of Kevin and in it, we see that you can find your purpose in life in the strangest of places. 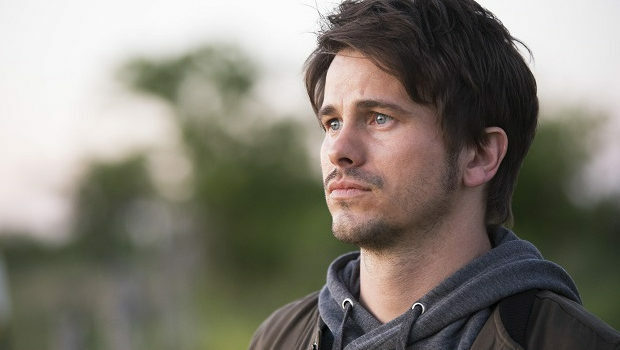 From Michele Fazekas and Tara Butters (Agent Carter), The Gospel of Kevin follows Kevin (Jason Ritter), a New York investor who, after losing a client an obscene amount of money, gets a welcome respite at his sister’s house in Austin, Texas. Still searching for direction after coming to a major crossroads, Kevin’s life is thrown into a completely unexpected direction after he receives a message from God after a meteor crashes down to Earth. The mission? Find and anoint thirty-five righteous souls to help protect the world. In addition to Ritter, The Gospel of Kevin stars JoAnna Garcia Swisher (Reba), Chloe East (Ice), Dustin Ybarra (We Bought a Zoo), India de Beaufort (Jane by Design), and J. August Richards (Girlfriends’ Guide to Divorce). The Gospel of Kevin is set to air Tuesdays at 10:00 on ABC. You can check out the network’s full fall schedule here. Will you be watching? Judging by the trailer, do you think ABC scheduled the show in the correct way? Would you like to see more shows like this on broadcast television?